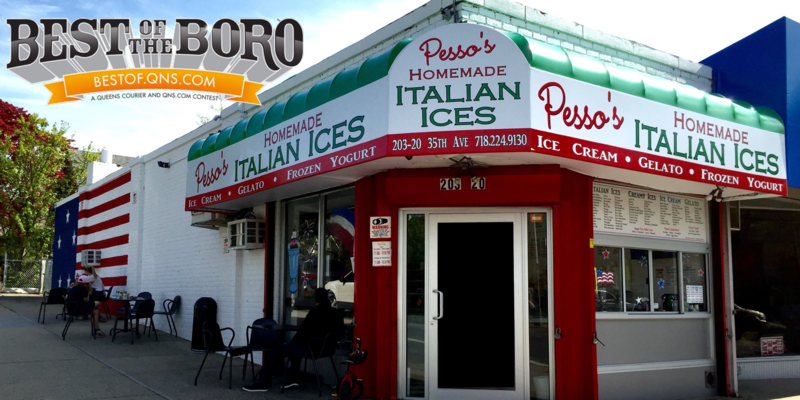 September 14, 2018 September 14, 2018 Pesso's IcesLeave a Comment on Have you tried our Cannoli Italian Ice? Filled with real Cannoli Cream & Shells and Chocolate Chips! Have you tried our Cannoli Italian Ice? Filled with real Cannoli Cream & Shells and Chocolate Chips! Previous Happy National Chocolate Shake Day! Enjoy an amazing thick milkshake made with a big scoops of our delicious homemade ice cream! Next Chocolate Raspberry Gelato is back! Rich Dark Chocolate with sweet & tart Red Raspberry makes for a pretty perfect scoop.